• Take your CAC with you when locking/logging out of systems. • Store sensitive documents in approved safes. • Know who the security manager and cybersecurity liaison are for your unit. • Encrypt sensitive emails (PII, FOUO, etc.). • Become familiar with the Network Incident Reporting Aid located on your desktop. • Properly mark documents/emails up to the highest classification as the info contained. • Notify your unit cybersecurity liaison if you witness practices dangerous to network security. • Call wing cybersecurity office with questions regarding systems and network security. • Connect personal devices to government systems. • Email classified material or store classified documents on NIPR folders. • Share your PIN or passwords. • Bring personal electronic devices into classified processing areas. • Open emails, attachments, or links if the source is suspicious or cannot be verified. • Attempt to install any unauthorized software. 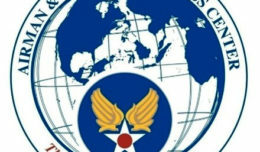 • Assume no one is looking, as Air Force networks are robustly monitored. 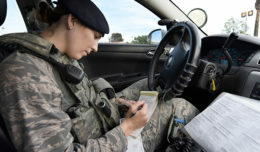 56th Communications Squadron personnel will be in all areas leading up to and during the inspection to ensure compliance. We ask that everyone be patient, courteous and flexible with 56th CS personnel and inspectors. With everyone’s help, we can fortify Luke’s network and systems, and achieve an “Excellent” score for this base-wide inspection.